Yesterday, the Supreme Court of the United States heard the final two arguments concerning the Affordable Care Act (“ACA” or “Act”). 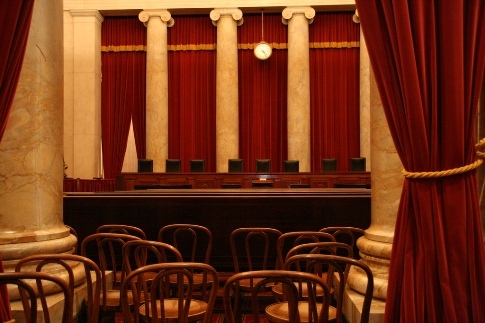 The day’s first argument concerned whether the remaining provisions of the Act could stand if the Supreme Court ruled that the mandate was unconstitutional. For more information on that argument, click here. The final argument concerned the extension of Medicaid benefits codified in the Act. Medicaid is a cooperative program between the federal government and the States where the Federal government shares the costs of providing health care to the indigent with the States. In exchange, the States agree to comply with the requirements of the Medicaid Act and its implementing regulations. In an effort to insure as many Americans as possible, the ACA extended Medicaid coverage beginning in 2014 to individuals with incomes up to 133% of the poverty level. 42 U.S.C. § 1396a(A)(10)(a)(i)(VIII). 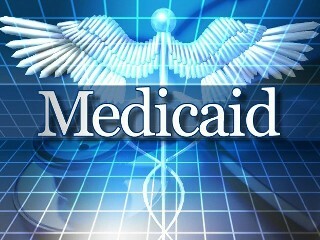 It is estimated that this extension would lead to an additional 16 million people on Medicaid. For the first three years, the federal government must pay all of the additional costs. In 2017, the federal government’s share is lowered to 95%, and over the next two years the federal share diminishes one percent per annum. In 2020, the allocation becomes fixed at 90% paid by the federal government and 10 % paid by the States. 42 U.S.C. § 1396d(y). This level of federal support far exceeds the typical federal contribution rate of 50% to 83%. See 42 U.S.C. 1396(b); Government’s Brief at p. 9. 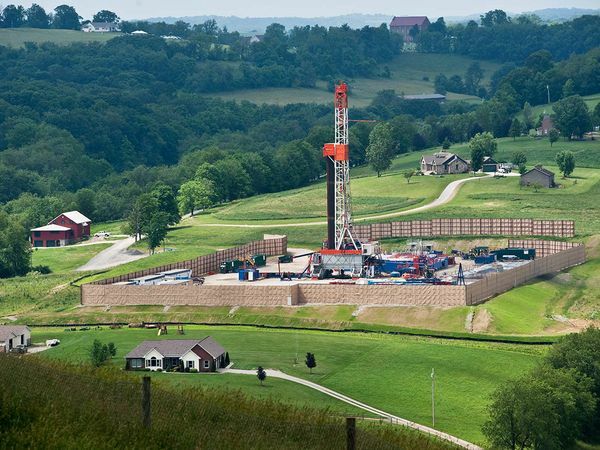 A new Pennsylvania law, an amendment to Title 52 (Oil and Gas) of the Pennsylvania Consolidated Statutes, requires that companies provide to a state-maintained registry the names of chemicals and gases used in fracking. It also forbids physicians, and other health care providers, from obtaining information on potentially harmful chemicals used in fracking, if that information is claimed to be a trade secret or confidential proprietary information of the company, unless the physician enters into a confidentiality agreement. Fracking is the method of forcing water, gases, and chemicals at tremendous pressure of up to 15,000 pounds per square inch into a rock formation as much as 10,000 feet below the earth’s surface to open channels and force out natural gas and fossil fuels. The Marcellus Shale extends beneath the Allegheny Plateau, through Southern New York, much of Pennsylvania, east Ohio, West Virginia, and parts of Maryland and Virginia. It is one of the nation’s largest sources of natural gas mining. Pennsylvania has about 5,255 wells, as of the beginning of March 2012, with dozens being added each week. Over the expected life time of each well, companies may use as many as nine million gallons of water and 100,000 gallons of radioactive isotopes within a four to six week period. About 650 of the 750 chemicals used in fracking operations are known carcinogens. 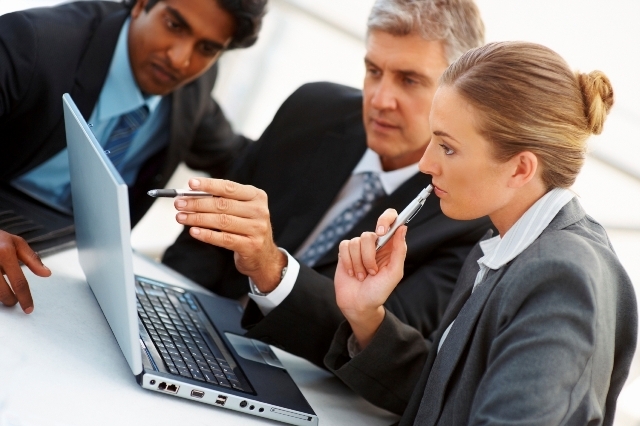 E-Discovery Lesson: You don’t want to be the next “McDermott”! J-M Manufacturing Company, Inc. v. McDermott Will & Emery, California Superior Court, Los Angeles County – Central District, Case No. : BC 462832, is believed to be the first e-discovery legal malpractice lawsuit. McDermott Will & Emery, is an international law firm founded in Chicago in 1934 that houses more than 1,000 attorneys. U.S. ex rel Hendrix v. J-M Manufacturing Co., Inc., US District Ct., CD California, Case No. : ED-CV06-000555, is the underlying case in which the legal malpractice allegedly occurred. This is a qui tam action (False Claims Act/whistleblower) brought by numerous governmental agencies based on allegations that J-M sold defective PVC pipe for use in water and sewage systems. If true, the qui tam actions could lead to the recovery of significant sums of money. The “Hendrix” referred to in the underlying case is an engineer who worked for J-M and who allegedly was fired one week after writing a memorandum that indicated the PVC pipe failed applicable product safety standards tests. In the McDermott case J-M alleged that McDermott failed to supervise its e-discovery vendors and contract lawyers, and, as a result, almost 4,000 of J-M’s privileged documents were inadvertently produced to the other side. J-M filed its First Amended Complaint on July 28, 2011 and asserted that it had retained McDermott because the firm held itself out as knowledgeable in the area of qui tam actions and e-discovery. J-M claimed McDermott had billed on an hourly basis as high as $925 an hour. The enforceability of arbitration clauses has become a hot topic. Last month we wrote on how the Supreme Court of the United States made it clear that the States were not free to ignore the Federal Arbitration Act’s preference for arbitration due to some contrary public policy. The highest appellate court of West Virginia had ruled that arbitration clauses in nursing facility residency contracts were not enforceable as they were against the State’s public policy. On Wednesday, the Third Circuit also had an opportunity to consider the Federal Arbitration Act. 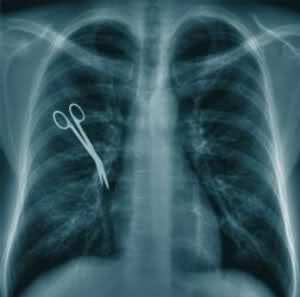 In Quilloin v. Tenet Healthsystem Philadelphia, — F.3d —-, 2012 WL 833742 (C.A.3 (Pa.), March 14, 2012), the Third Circuit strongly supported the federal preference for arbitration clauses when it upheld an arbitration clause in a hospital employee’s contract. Janice Quilloin twice entered into an employment agreement with Tenet Healthsystem to work as a registered nurse. Nurse Quilloin’s employment contracts set forth individualized arbitration as the sole avenue to resolve most disputes. Eventually, Nurse Quilloin filed a collective action in federal district court against Tenet under the Fair Labor Standards Act, as well as a state-based class action and common law claims. Tenet filed a motion to compel obedience with the agreement to arbitrate. 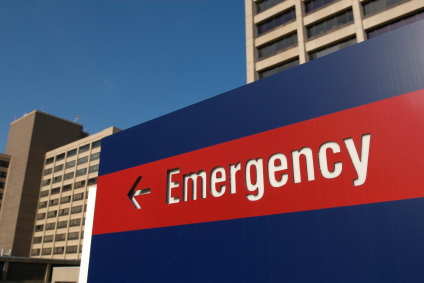 Pennsylvania’s Medical Record Act addresses the medical record request process. The Act requires the records holder to provide to the requestor the “estimated actual and reasonable expenses of reproducing the charts and records.” 42 Pa.C.S. § 6152(a)(1). The Act further lists acceptable prices that the medical care providers or their designees may charge for searching, retrieving and copying those records. See id. at 6152(a)(2)(i). 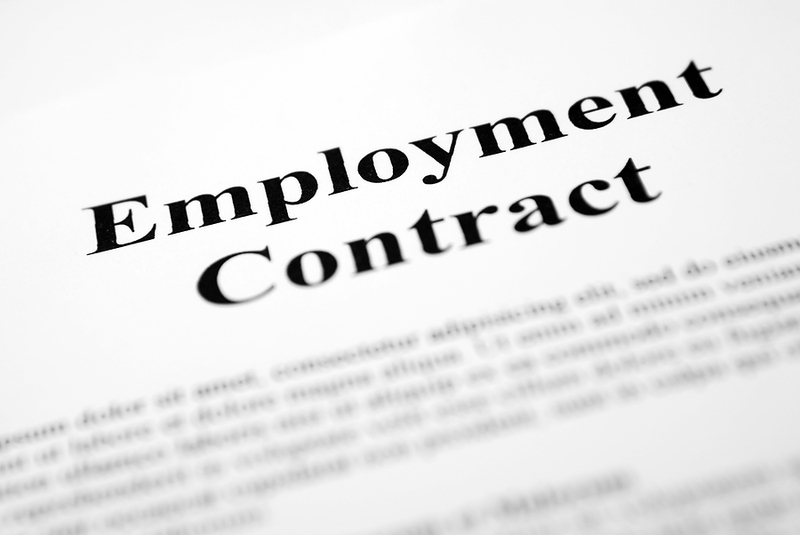 If a plaintiff suspects a violation of the Act, he may bring a breach of contract claim for violations of this Act. 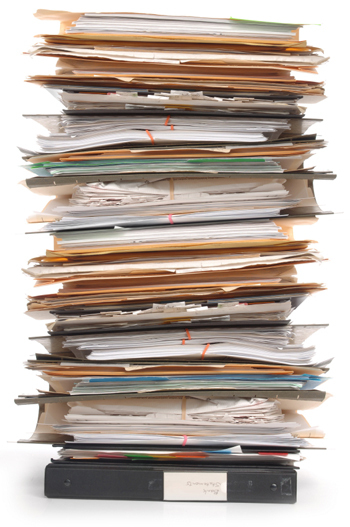 Does the Medical Records Act [MRA], 42 Pa.C.S. § 6152(a)(1) and (a)(2)(i), require medical records reproducers to disclose their estimated actual and reasonable expenses of reproducing the charts or records, and to limit their copying charges to these amounts or the statutory ceiling rates, whichever is less. See Wayne M. Chiurazzi Law Inc., et al. v. MRO Corporation, 1 WAP 2012.